It’s December and time for a change to a new year from the worst to the best. The business climate is constantly in a state of change. What once worked before, may no longer be effective today. Hiring critical talent has its own set of unique challenges since it involves the complexity of the human race. 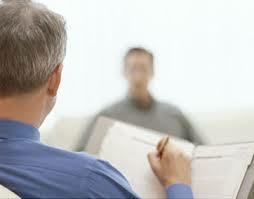 At the heart of hiring is the interview process including the interview question. Interviewing is not a static event. It is dynamic. Therefore, the quickest way to have a hiring failure is to conduct interviewing “the way you have always done it”. As the CEO, hiring manager or business leader, you are adding talent to your organization because you need to have a business problem solved. With this in mind, shouldn’t the interview conversation be focused on business problem solutions? – The candidate’s reply to the question is manipulative. Candidates have been practicing for this question for years. A candidate’s answer to this today is to turn the answer from a weakness into a strength for the unimaginative interviewer. Questions like “biggest weakness” are answered by candidates who have been practicing for predicted questions. In another words, the candidates are “polishing” themselves. – “Candidate polishing” does not equate to hiring great talent. The most polished candidate is not your best hire. Best Practice Hiring should focus on getting to know the candidate as the real person who will be an integrated part of the business they are being hired to join. If the interviewer is asking the candidate “how much would you like to make?” then the hiring process must be in a dysfunctional state. In a Best Practice scenario, the employer defines and declares the target compensation range first. Then, the candidate decides if they want to consider the compensation being offered. Are you kidding me? Hopefully hiring managers, CEO’s and business leaders are not asking candidates about trees. With this question we have literally gone missing in the forest and lost all focus on solving a business problem. Please return back to the ranch as quickly as possible. There is little value for the employer to hire someone who can parrot rehearsed answers to practiced interview questions. Not only does this demonstrate weak interviewing by the employer, it fails to address the critical thinking abilities of the talent. Smart candidates ask smart questions. Interviewers should be able to communicate to a candidate that they have the confidence and knowledge to talk about the business and the company the candidate may work for. “What questions can I answer” fosters a two way dialogue, making the candidate feel that they will have ample opportunity to learn about the company through an original, unrehearsed conversation. In addition to critical thinking, this question gives candidates the opportunity to demonstrate: intelligence, curiosity and genuine interest. Most of the time over-qualified talent is disregarded for roles when they are over-qualified. In many cases, the over-qualified talent would find the opportunity to be attractive. Unfortunately, they are rarely asked. Ask this question and the candidate may surprise you with a insightful and enlightening reply. On the other hand, if the candidate is really over-qualified and simply trying to “get a job”, their answer will confirm the interviewer’s concerns and likely lead the candidate to recognizing they are not a fit. Worth noting: It is much better for the candidate to “self-select” themselves out of consideration. My term for this approach is: “self weeding garden”. The value of this question is that it defines that the hiring process will require the candidate to prove or show their work output. Too many candidates only want to talk about their capabilities. When candidates have to show their ability and implement their plan, there is a much higher probability for a successful hire. Best Practice Recruiting should involve the candidate “showing” their value not simply talking about. Are you thinking about where your business has been or are you thinking about where your business is going? Are the constant changes in business today your path to growth? What are you doing to embrace CHANGE? Here’s wishing you and your business Happy Holidays. Bert Sadtler is the President of Boxwood Strategies and is a thought-leader for best practices recruiting, performance-based compensation and the shift in the changing paradigm toward acquiring critical senior level talent. Boxwood Strategies is a management, consulting and recruiting firm located in the National Capital region. As a dedicated, consulting resource to CEO’s and hiring managers, Boxwood develops strategies for organizational growth through a focus on performance, as well as the evaluation and acquisition of critical talent. To help companies meet numerous business challenges, Bert has co-founded the Alliance of Independent Managers, a group of diverse and accomplished senior-level professionals who are available to companies on a consultative and project basis. The focus of this group is to take “AIM” at a company’s challenges and opportunities, clearly defining it’s challenges, and deliver cost-effective solutions by using experienced, professional consultants instead of hiring full time employees. Market sectors include: SATCOM, Space, Government Contracting, Communications and Technology. Copyright 2011 by Boxwood Executive Search. All rights reserved. Site designed by JWatson Creative.